How many works in total do you think Mozart composed? What award was bestowed on him by the Pope? How many languages could he speak? And what rather unsavoury subject was he seemingly obsessed with? 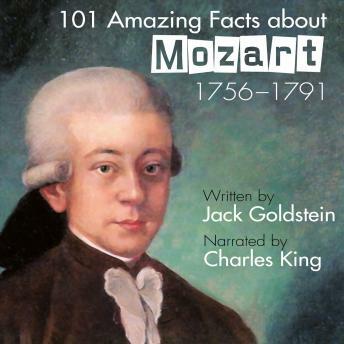 In this fascinating audiobook, narrator Charles King answers all these questions and more as he visits the intriguing world of one of the world's greatest ever composers, Wolfgang Amadeus Mozart. Perfect for everyone from those new to the world of classical music right through to serious long term fans, this is an ideal addition to any bookshelf.